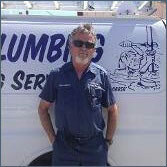 Gilsons Home Plumbing is your dependable, affordable plumber in Yucca Valley, Morongo Valley, Joshua Tree, Twentynine Palms and Landers, CA. We are a respected residential plumbing contractor that can handle any plumbing repair, re-pipe, installation or drain cleaning and we always deliver the highest quality workmanship to each of our clients! Plumbing troubles are enough to cause any homeowner distress and dealing with them by yourself can have disastrous consequences. Gilsons Home Plumbing aims to always be your reliable source for plumbing assistance—whether it’s a simple clog or a complex re-piping issue that’s troubling your home. We go out of our way to always be prompt, professional and affordable for all of our customers and that’s the way we’ve been conducting business since 1998. Our expertise and experience when it comes to plumbing services in Yucca Valley, CA are unmatched and we’d love to prove it to you the next time you’re dealing with a plumbing crisis. 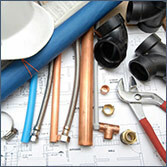 We provide plumbing services to Yucca Valley and surrounding areas, up to 25 miles. We are fully licensed, bonded and insured for your safety. Our expert plumbers can offer you a free over-the-phone estimate on work. We stock a huge selection of parts, cutting down on service times. No job is too big or small for Gilsons Home Plumbing! "Mr. Gilson provided great service for an affordable price. He was available on short notice, professional and polite. I will definitely us..."